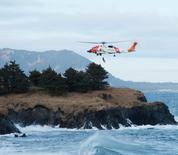 Coast Guard Sector Juneau is a multi-mission unit based in Juneau, Alaska. The command consists of approximately 250 active duty, reserve, and civilian members with ten field commands and detachments. Sector Juneau's personnel, under three main departments, Prevention, Response, and Logistics, provide a vital Coast Guard presence in four strategic Southeast Alaska communities, and conduct operations in over 20 remote areas and native villages on over 2,000 islands and 10,000 miles of shoreline.